The Maysville Utility Department operates and maintains the water and wastewater system for the City of Maysville, Old Washington, Lewisburg, May’s Lick, Wedonia, Stonelick, and Pinewood. For more information visit the Maysville Utility Department website. 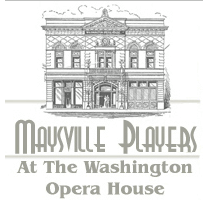 Water & Sewer payments can be made at the Maysville Utility Department website. The water department operates and maintains a Class IV A(4) – Four million gallon per day surface water treatment plant. We get our source water from the Ohio River in which the characteristics of treatment can change from minute to minute. We use a conventional surface water treatment method to produce safe, potable drinking water for our community. The wastewater collection system in Maysville is comprised of 25 wastewater pump stations and more than 75 miles of gravity sewer mains. Sewage travels through the collection system by gravity until it reaches a sewer pump station. At that point, it is pumped to a higher point from which it will travel by gravity again until it reaches the treatment plant. The utility commission operates a vertical loop reactor wastewater treatment plant that with a capacity to handle 3.4 million gallons per day. The plant is classified by the Kentucky Division of Water as a Class III Wastewater Treatment Plant.